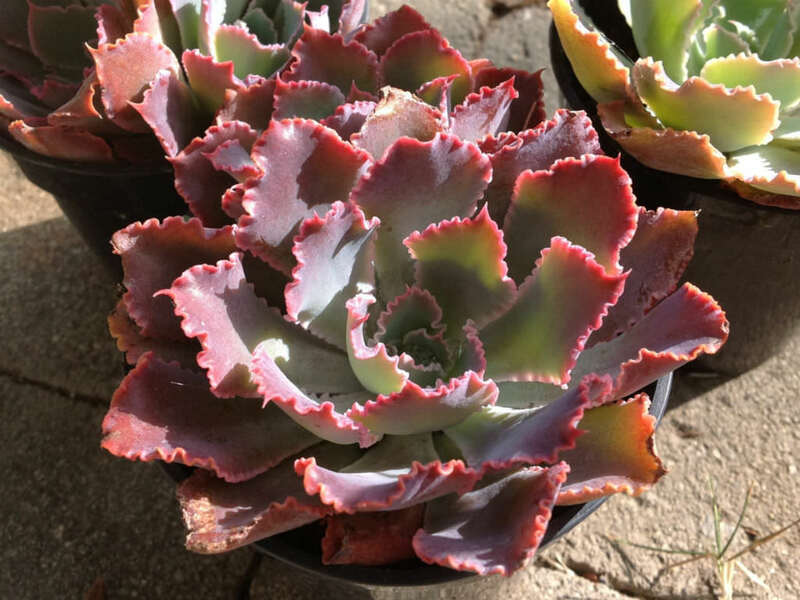 Echeveria ‘Neon Breakers’ is a rosette-forming succulent with wavy, crinkled edges that are an unusual leaf texture, unlike other Echeveria. Its rosettes can grow up to 8 inches (20 cm) in diameter. 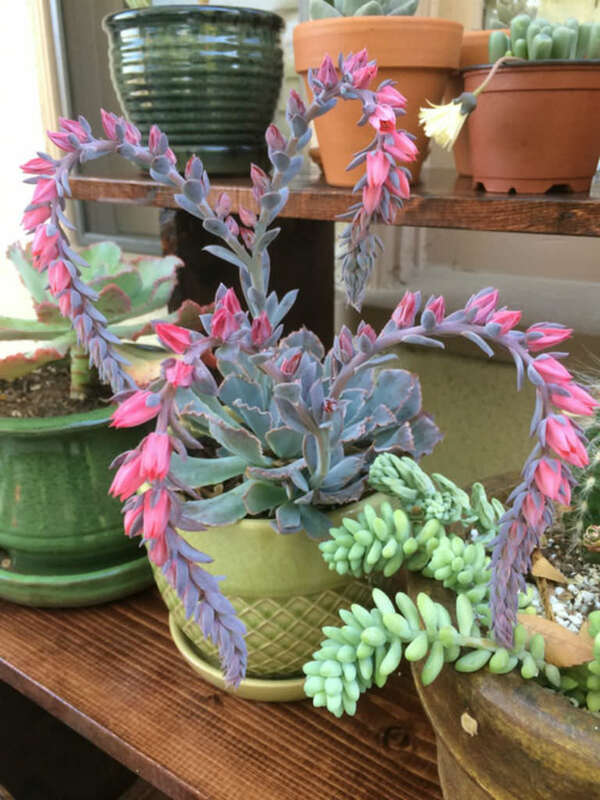 It characterized by its intense, colorful leaves. 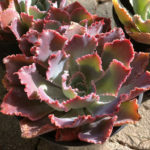 Once planted, the leaves rosettes begin as a blue-green with faint pink at the tips. As it receive continuous full to partial sun, its colors transform into its own, vivid sunset. 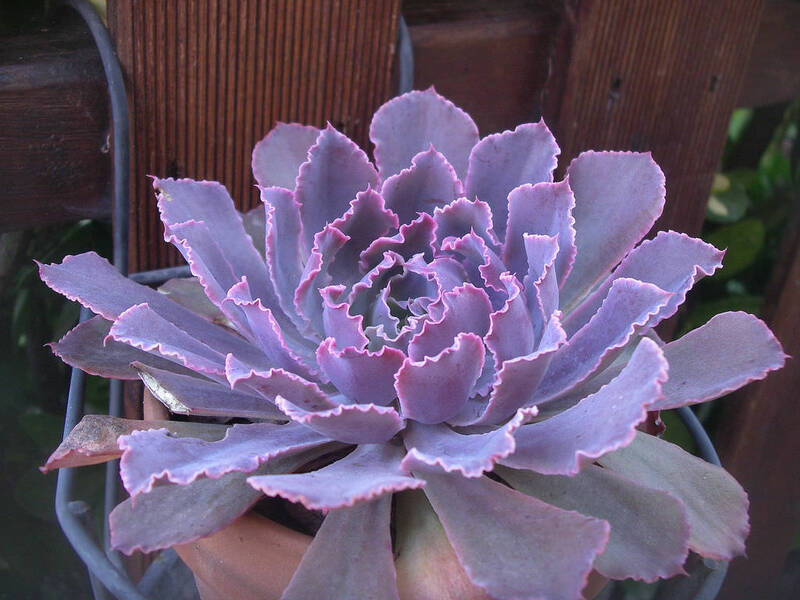 The blue-green reverts to a deep purple and a magenta, pink hue at the tips of its leaves. In bloom, during late summer and early fall, its colors heighten and tend to become even more vivid. 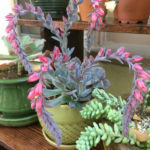 Purplish stems grow vertically while producing bright pink flowering buds. 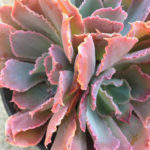 This is an Altman Plants original hybrid created by Renee O’Connell.